If you didn’t catch my note yesterday, I’m doing a “Famous Musician” week where I’m sharing my fun stories about various famous musicians that I’ve met – and I would love to hear yours as well! Share away! Yesterday I told you about how I met violinist Joshua Bell when I was 15 years old, and again at 25. 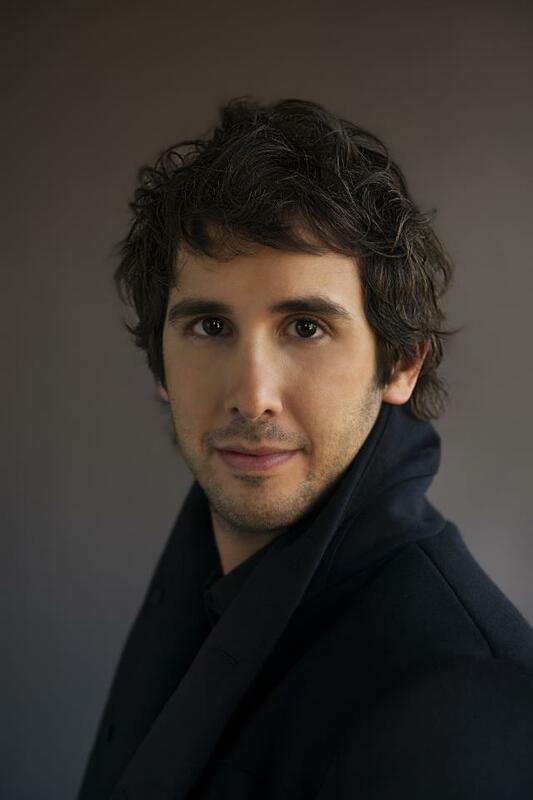 Today I have another Josh to share with you: Josh Groban. And the timing is perfect because actually tonight my husband and I have tickets to go see Josh Groban live here in Seattle. Pretty exciting! Now, I have a fun video to share too, check it out at the end. 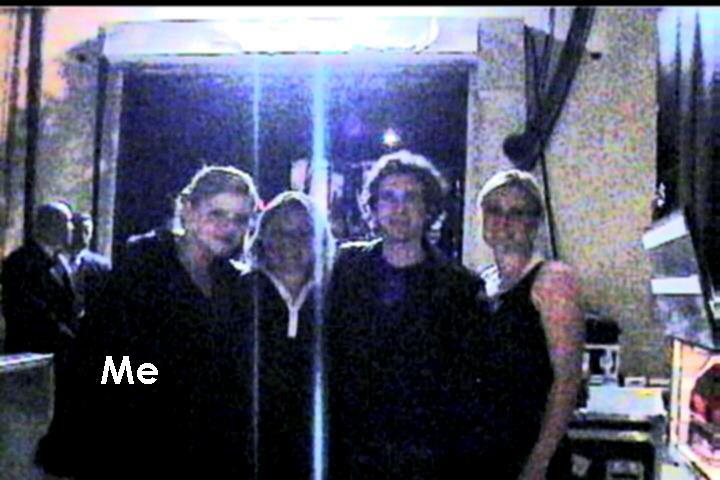 Back in 2003, a friend asked me to come with her to Los Angeles for the PBS filming of “Josh Groban Live”. At the time, I hadn’t become a huge fan of Groban yet, but had heard his vocals on the soundtrack for “A.I.” (remember that sci-fi flick?). I said “Sure why not!” and thus commenced on a fun journey that made me a life time fan of Josh Groban. At the time, I really had no idea that Josh Groban had such a loyal following, a.k.a. the “Grobanites”. Let me tell you, these people would do anything for their Joshy. So pretty much everyone who had gotten tickets to be in this audience for the filming were Grobanites. It was a 2 day event, and each taping was about 4 hours. In between takes, producer David Foster would come out and chat with us, tell stories, make jokes, etc. Personally, I was very excited to see composer John Williams hit the stage – as he was going to be directing Josh Groban singing the title track from A.I. (the one he sang with Celine Dion as a duet). In between all this filming, all of us audience members were all staying at the same hotel together and there were organized luncheons where Josh’s parents came and spoke to us and some other fun events. On the last night of filming, after the show Josh came out and met everyone, signed autographs, did photos, etc. Well apparently that just wasn’t good enough for my little group and I. We had to get back stage. And so we did. I don’t remember how it all went down, but someone talked to someone who was able to get someone to get Josh to come back and meet us. Remember, for me, I wasn’t quite the superfan that everyone else was and so I wasn’t really star-struck at all by the whole thing. But my girlfriends (you’ll see in the video) were practically swooning – haha. And the funny thing about the video is it ended up going on his PBS “Live” DVD in the special features. Yes – that’s right! I, Jennifer Thomas, am on Josh Groban’s LIVE special features DVD. My 10 second claim to fame – ha! 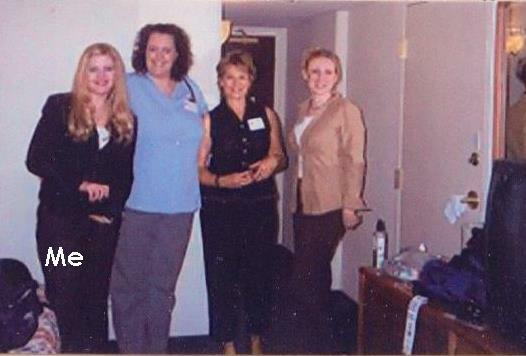 I know the quality on this photo was terrible – it was 2003 and I think digital cameras were, what, 3 megapixels? Josh is a really nice person, totally a goof and kid at heart (at least he was then), and also MIGHTY talented. That man can sing!! Read more Famous Musician Week here. This entry was posted in Famous Musicians Week, Funny Stories and tagged Josh Groban. Bookmark the permalink. Famous Musician Week – The Time that I Met Joshua Bell.